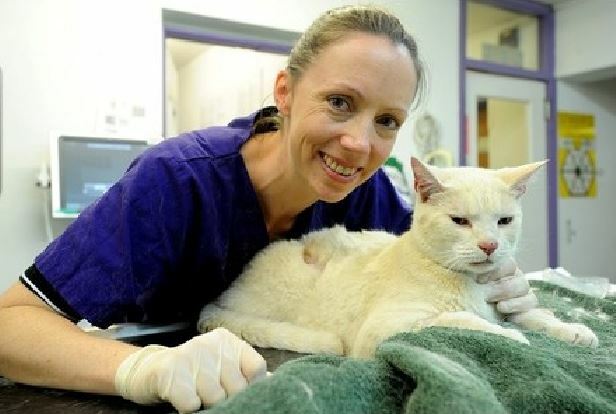 Two lives were saved when Oki got a kidney transplant and his family adopted the organ donor kitty, who was rescued from death row. Two Suffering Homeless Kitties Get Help! 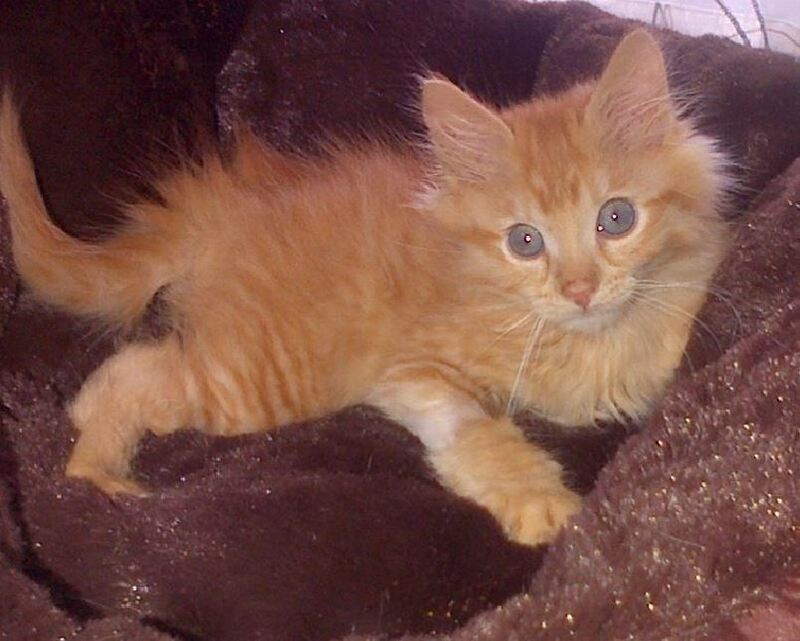 Stray kittens Peggy and Leela were in dire need of medical care and their rescuers took them to Vet Ranch to get help. Both kittens are now doing well. 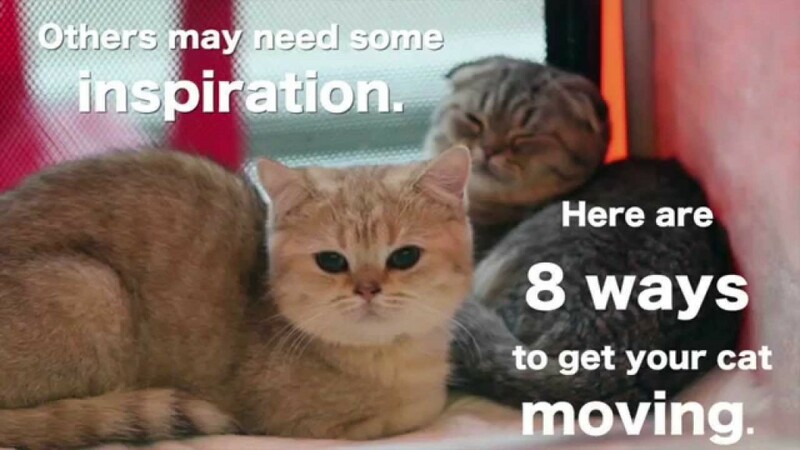 Check out these ideas for 8 clever ideas for keeping cats active, happy and healthy. 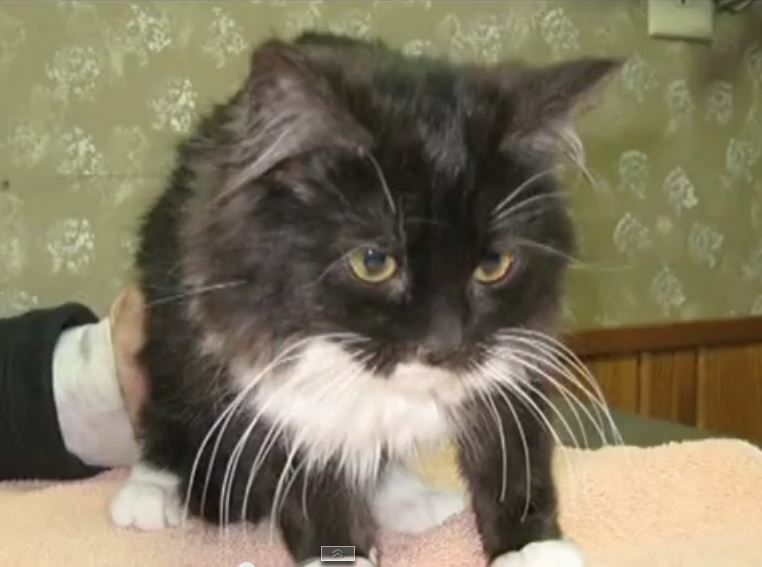 A cat with a rare blood disorder is being treated with an old and unusual procedure – bloodletting with leeches. 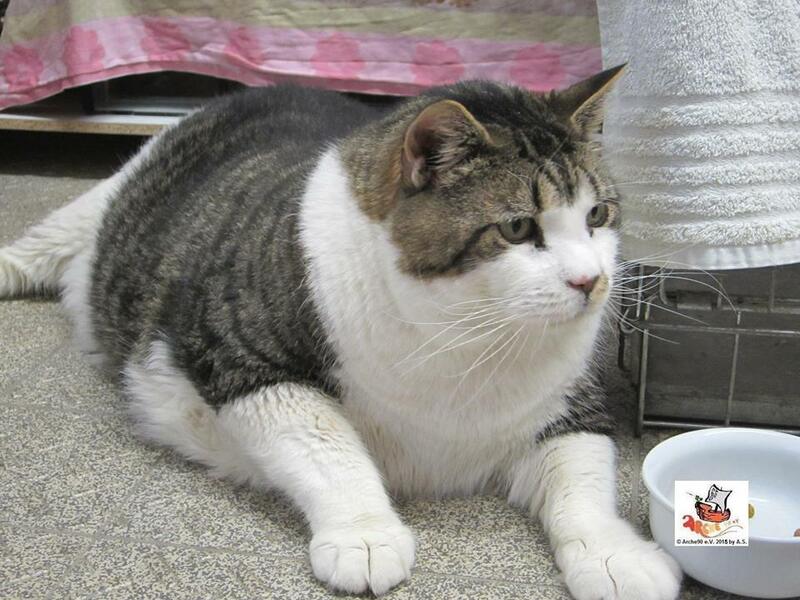 It is hardly a title to aspire to but a German cat named Elvis may be the world’s heaviest cat, weighing in earlier this year at 38.5 pounds. 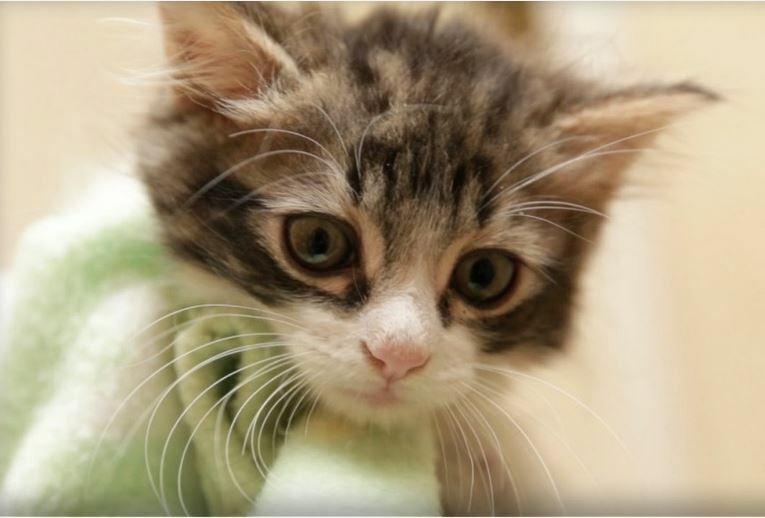 Bebe is a special needs kitten who found his new home through the power of the Internet. 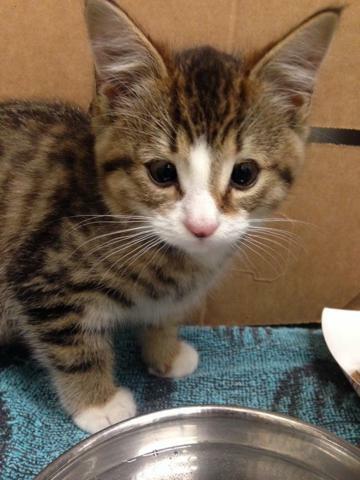 Bebe is a beautiful rescue kitten born with Manx Syndrome. Little Phil was born without upper eyelids – a condition that would have led to blindness without intervention. 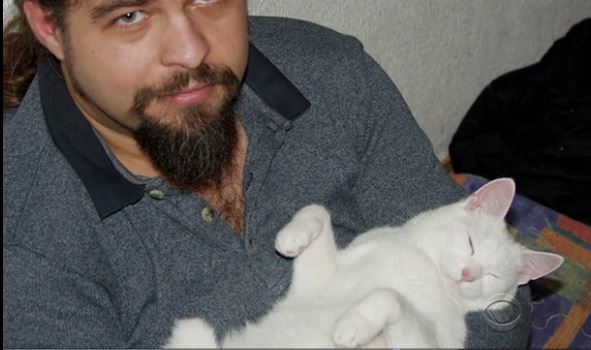 Several readers have asked for an update on Muffin, who was paralyzed by an improperly placed microchip and is working to regain his mobility now.